I know, I’ve done a lot of these booties. But people keep having babies, and these continue to be the cutest booties and most well-received gift. 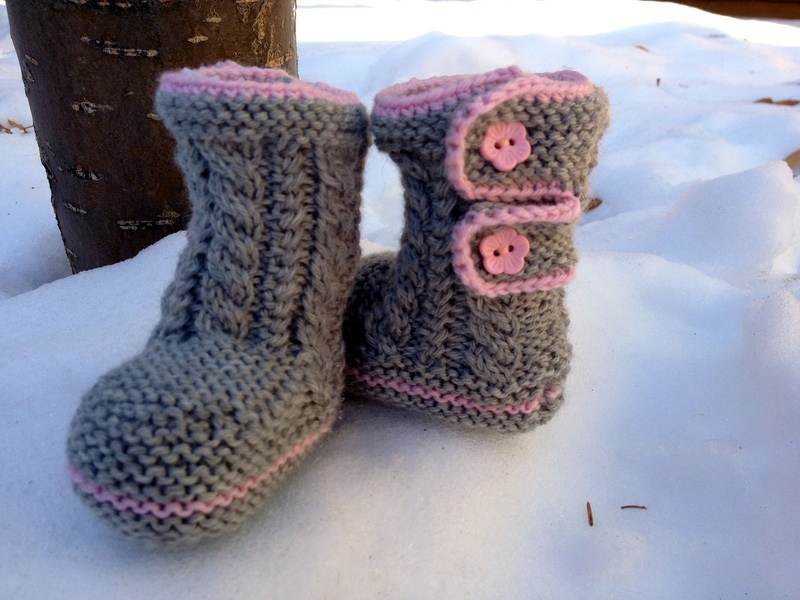 So here is my fifth pair of Spring Breath Baby Booties, designed by Julia Noskova. This is also a bit of a sneak preview for my next design as both projects use the same yarn, Cascade 220 Superwash Sport in grey and pink. The yarn is so soft and very suitable for baby knits. My new design is currently knit up (and gifted) but I need to put the finishing touches on the pattern, have it edited and tested. I’m also planning on submitting it to a yarn company for possible publication so please keep your fingers crossed for me! I’ve been very timid about submitting my ideas for publication by magazines, etc. but I think it’s time I put myself out there.